At our ear, nose, and throat (ENT) office, we see patients for a wide range of conditions. One of the most common is sleep apnea. Sleep apnea is when a person pauses breathing while sleeping. Typically, the pause in breathing will last anywhere from just a few seconds to up to a minute in length. This can happen as many as 30 times in the span of an hour before normal breathing starts again. Typically, sleep apnea manifests itself as loud snoring, gasping, or choking during sleep. In many cases, sleep apnea can be difficult to diagnose because it cannot be detected during a regular doctor office visit or through a blood test. Often, the affected person has to rely on those sleeping near them to alert the patient of the condition. A visit to a sleep apnea specialist can help you know for sure. There are two main types of sleep apnea. The first is called obstructive sleep apnea, and is the most common. In obstructive sleep apnea, the airway is blocked or collapses during sleep. When the person tries to breathe, the air has to squeeze past the blockage, resulting in a loud snore. This type of sleep apnea is more common if the patient is overweight, but can certainly affect anyone. Often, this is seen in small children who may suffer from enlarged and swollen tonsils. The second type of sleep apnea is called central sleep apnea, and is less common. In this case, the brain fails to send the correct signals to the muscles that control breathing, signaling them to continue to breathe steadily through sleep. This is commonly found in people with certain medical conditions or prescribed certain medications. With this type of sleep apnea, snoring rarely accompanies the disorder. Your sleep apnea specialist will be able to determine the type you are experiencing. It is recommended that a doctor, or sleep apnea specialist, is consulted if there is noticeable choking or gasping during sleep. It often takes the partner of the affected patient to recognize what is happening during the middle of the night. Also, see a doctor if lack of sleep is causing daytime sleepiness, or causing the affected person to fall asleep at inappropriate times. If left untreated, sleep apnea can lead to several serious health conditions, such as an increased risk for heart attack, stroke, diabetes, and increased risk of heart failure. There are several ways to treat sleep apnea, which vary depending on the severity of the case. Some remedies are easy lifestyle changes, such as a change in sleeping position. Sleep apnea can be worsened by sleeping on the back. It is often recommended to stop smoking, because the smoke can cause inflammation in the back of the throat. This increased swelling can lead to a blocked upper airway. Sometimes, sleep apnea can be cured simply by losing weight. More severe cases of sleep apnea may require the use of Continuous Positive Airway Pressure, or CPAP. This is a mask that is worn over the nose and mouth that provides a steady flow of air into the nose. This helps keep breathing regular. Dental devices may also be used to ensure airways stay open throughout the night. In some cases, sleep apnea may be the result of another medical problem, such as enlarged tonsils or a deviated septum. In these situations, surgery to fix the underlying problem will also cure the sleep apnea associated with it. In severe cases of sleep apnea, surgery called uvulopalatopharyngoplasty, or UPPP, may be recommended. This is a procedure that removes part of the soft tissue in the back of the throat which increases the width of the airway. 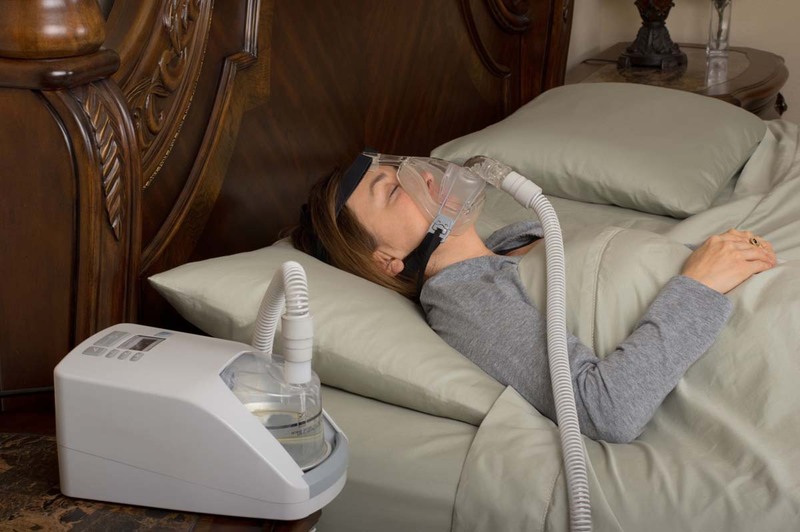 A sleep apnea specialist can evaluate the patient and assess the appropriate treatment. Although sleep apnea can happen to anyone, there are a few ways that it may be possible to prevent sleep apnea. For one, avoid alcohol, sedatives, or medication that causes drowsiness before bed. These can cause a person’s breathing to slow by relaxing the throat muscles and result in blockages that may momentarily stop breathing. Also, it is advised to maintain a healthy weight through diet and exercise. Being overweight can increase the chances of sleep apnea. To learn more about preventing sleep apnea, or to have your symptoms thoroughly evaluated, contact our office today. We can help you to determine the best approach for treating your condition and help you to sleep safely. Schedule an appointment with a sleep apnea specialist at our office as soon as possible.